Stacey Strain, a native of Grenada, Mississippi, is a graduate of Mississippi College School of Law. She concentrates her practice in toxic tort, products liability and general liability matters. Her practice has focused largely on multi-party litigation. 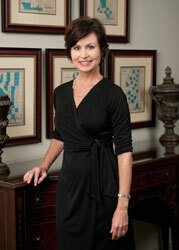 Stacey is licensed in Alabama, Louisiana, Mississippi, and the District of Columbia. Prior to Hubbard, Mitchell, Williams & Strain, PLLC, Stacey was an associate with the former Wells, Moore, Simmons & Hubbard, PLLC.